May was a month of several postings filled with the spirit of World War II at the Poemas del río Wang: Little People about children in the war, Graffiti displaying wall inscriptions in the fallen Berlin and Two Images, which was a reflection about the Church through two wartime photos. 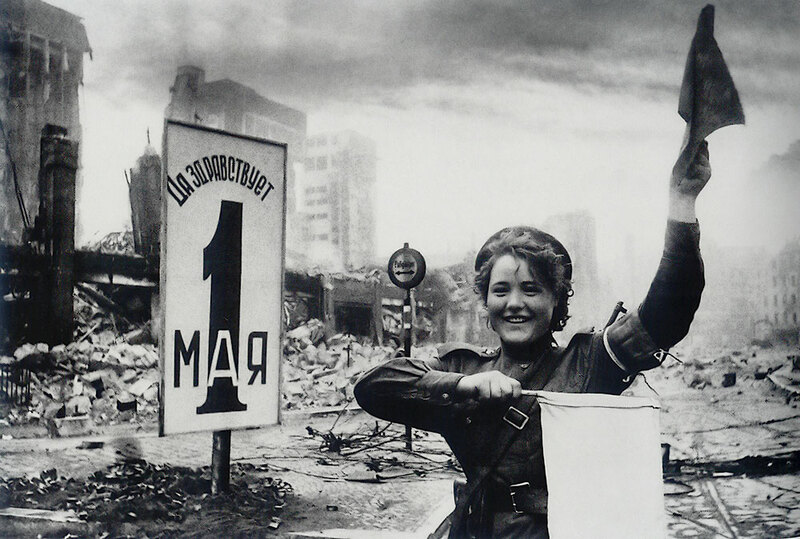 For many years May for me was starting with the Victory Day celebrating 9 May 1945 – the day of capitulation of the Nazi Germany in the war that was called no less than Great Patriotic War (1941-1945) in the Soviet Union, the day that is still a public holiday in many post-Soviet countries. So here is my next posting inspired by that May spirit at Poemas del río Wang. 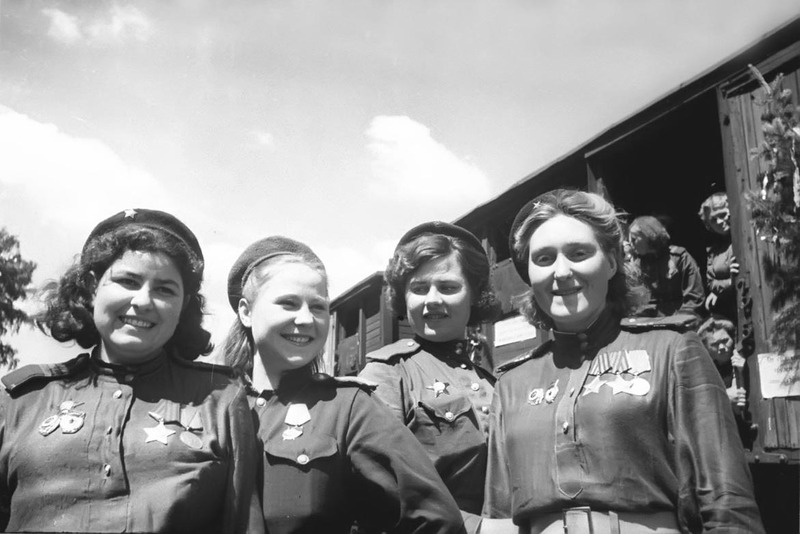 Katyusha is one of the iconic songs of the Great Patriotic War, although it was actually written quite earlier and performed for the first time in 1938. Katyusha (Katie) is a tender version of Katya (Kate), which is a diminutive of Russian female name Yekaterina (Catherine). This song is about a girl singing for her beloved one, who is far away on a military duty. On the steep banks, over the rocky ground. True Katyusha our love will defend. There are several English translations of the lyrics on the Internet. Above is one of the versions that although not most accurate but can be sung with the music. 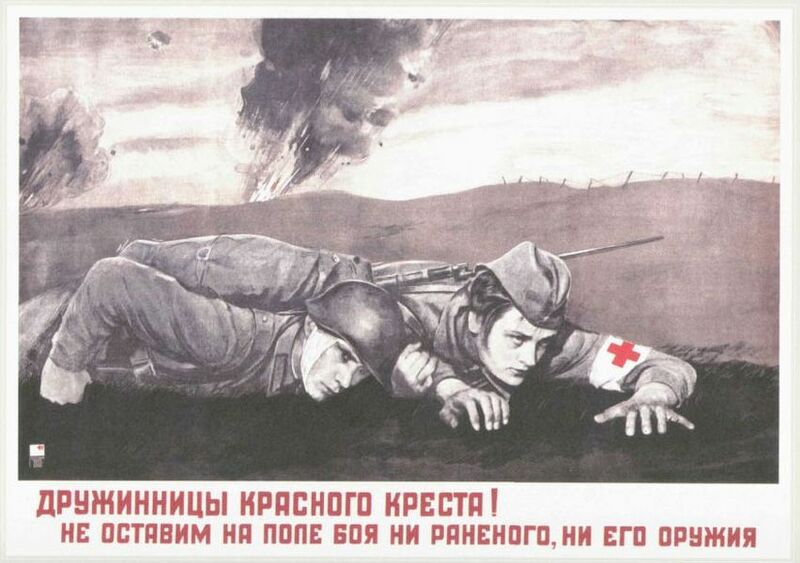 Composed by Matvey Blanter (1903-1990) it was very popular at the frontline, actually on the both sides of it. 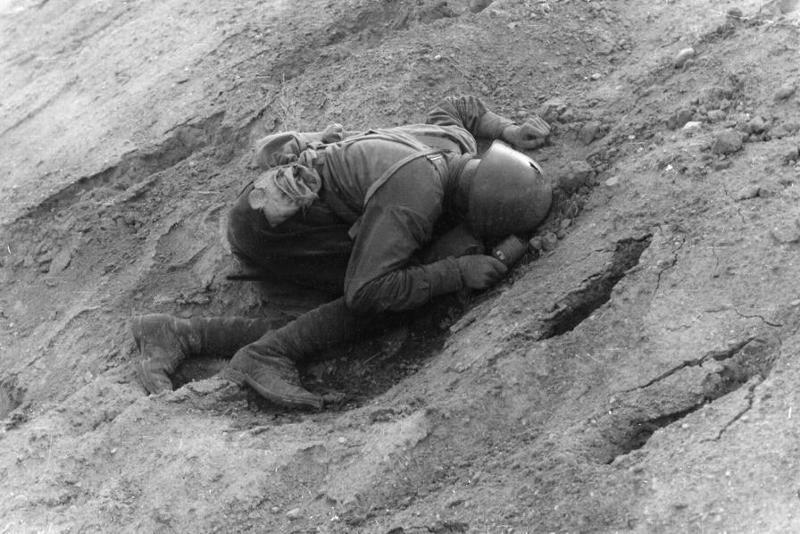 There were cases when German soldiers hearing the song from their trenches were asking to perform it again. A very popular Italian partisan song Fischia il Vento (The Wind Blows) was written in 1943 for the same music. where the sun of future rises. his heart is strong and his arm ready to strike. of the mean Fascist traitor is certain. we have won and at last we are free. My father’s uncle Mustafa was the youngest, that is probably why also the most beloved brother in the family. A bright village boy, he pursued an army career and after finishing a military commanders’ school started his service as an officer in Baku. Mustafa met his future wife Valentina Andreyevna at a hospital while on service in Stavropol region of Russia in the 1930s. His family gave their blessings to his marriage with that Russian girl, and blessed they were with four children. This photo of his youngest brother taken in 1940s my grandfather kept at his bed-side till his dying day. No information about where, how major Yusufov was killed and where he is buried. Later his name was found in the official list of “missing in action”. So there was always some confusion about Mustafa’s fate and he was remembered from time to time with a smoldering hope for his survival. Thus the gunpowder-smelling spirit of May at Poemas del río Wang brought back also the old memories about my great-uncle. I started to search the Internet for information about army major Mustafa Yusufov, and it was about the right time. It turned out that in 2008 the Ministry of Defense of Russian Federation made the Soviet archives about “irretrievable losses” of the Great Patriotic War available online through its project called OBD Memorial. It was periodically supplemented and now this huge database contains about 11.8 millions of digital images of archive documents. I was planning also to search the online database of the German Center of Documentation on Soviet prisoners of war. Searching the archive is not always straightforward, since there are different spellings of names and misentered data either in the original document or in the digitized record. 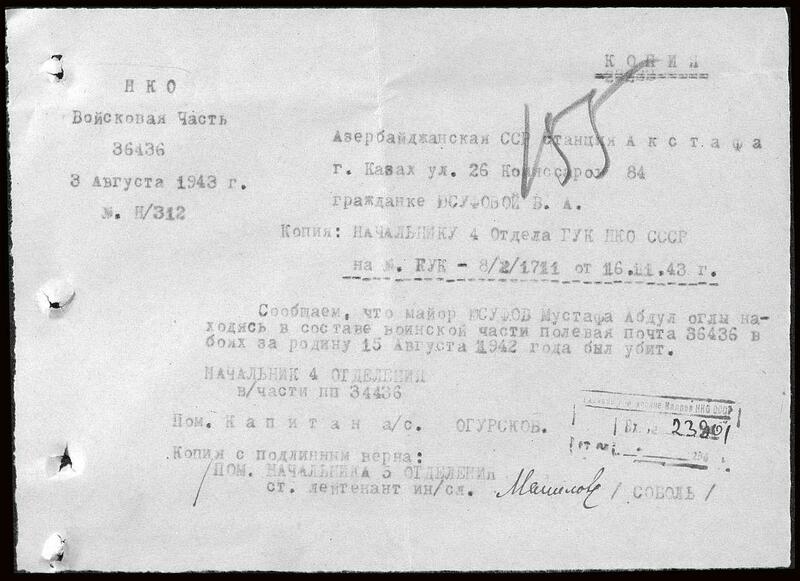 It did not take long to find bunch of documents concerning major Yusufov. Not only I learnt his last duty station – the 88th Rifle Division of the 31st Army and the place where he was buried, but also read how his wife was struggling and lost her two youngest children during the lean years of war. In the spring 1942 the 88th Rifle Division was formed for the second time, because after the devastating battles in the North, near the border with Finland there were only three thousand people left from the initial 17 thousand in the first formation. The newly formed division got baptized with fire in August 1942 in the Rzhev-Sychevka offensive – the second Soviet operation in Battles of Rzhev also known as “Rzhev meat grinder”. This controversial episode of war is not as well known as Kursk or Stalingrad, although it was at least as bloody as the latter. including the battles of Rzhev. 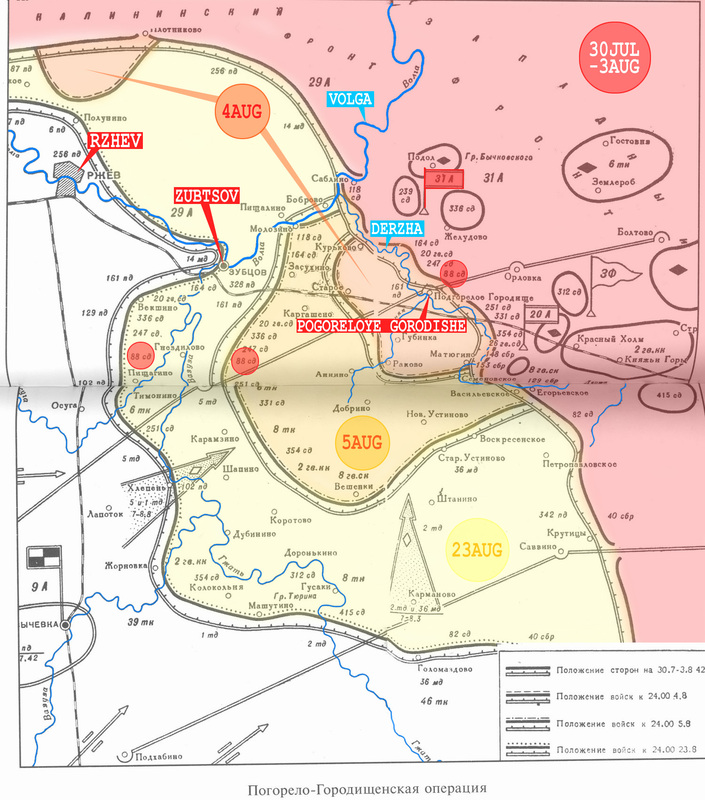 The first operation in January-April 1942 threw the Nazi troops further back, but by counterattacking they encircled and almost completely annihilated two Soviet army groups, they also kept Rzhev and other strategic positions in the Rzhev-Vyazma salient that looked like a fist threatening Moscow. In June 1942 Hitler ordered his troops to advance in South towards two strategic cities – Stalingrad as an important transporting center on the Volga and Baku as the major Soviet oil producer at the Caspian sea. Stalin did not foresee such a turn, and the operations around Rzhev continued to deter Nazis from transferring troops to the South. 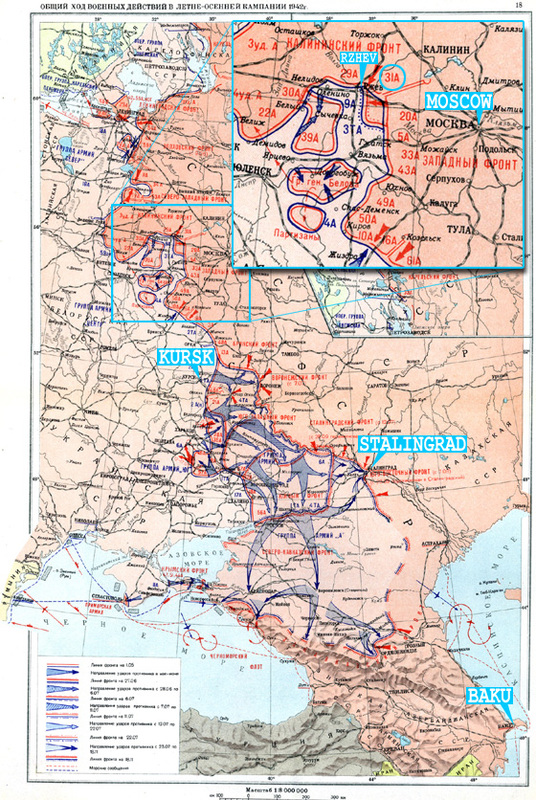 In July-September Soviet forces started a new offensive, but although they advanced further at the expense of great losses, the main objective was not achieved – Nazis held Rzhev and the salient. It was followed by another unsuccessful operation in November-December. Soviet troops entered Rzhev only in March 1943 to find out that the enemy almost insensibly retreated. 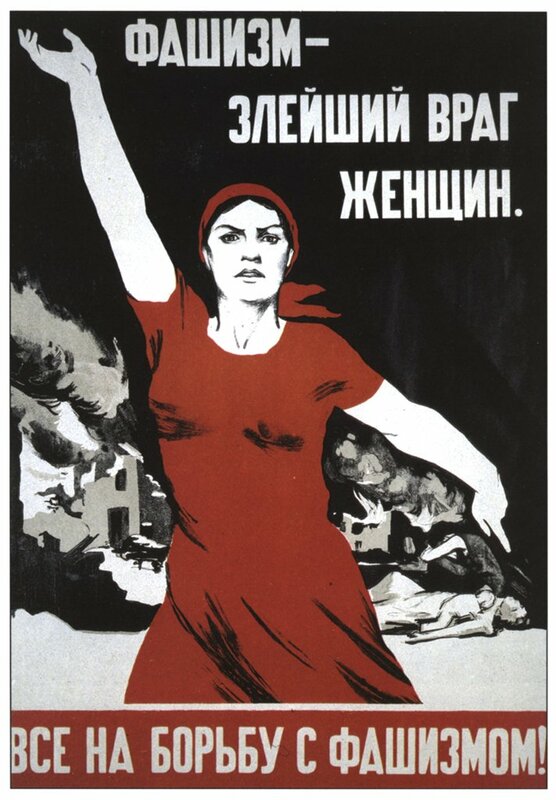 “The Bolshevik had not time to throw his grenade”. 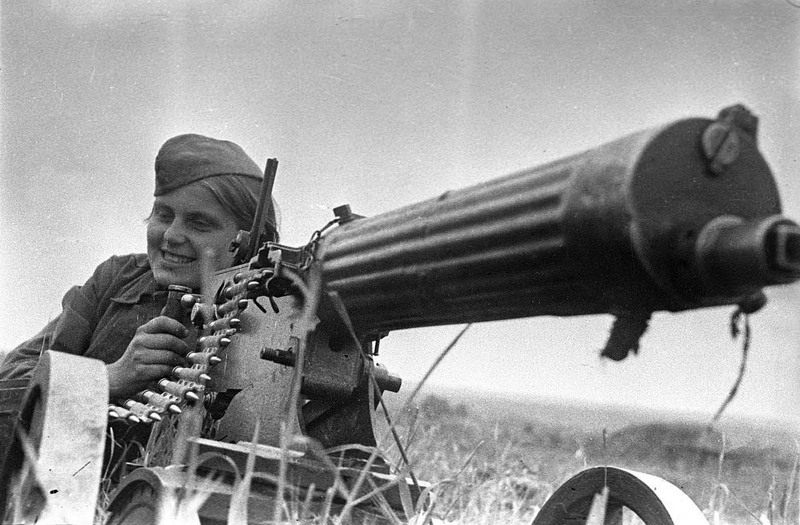 Belarus, June 1941. Photo: the German newspaper Völkischer Beobachter. In a cruel air raid. On a hill in the dust. Tear the air on highways. Even my mother won’t come. The name Mustafa Yusufov too is not in any name list of buried, neither there is an official memorial grave in a village called Nosovo. In fact you wouldn’t even find such a place around Rzhev if looked at most of the maps. There are many voluntary search groups finding every year remains of hundreds of unknown soldiers, sometimes even whole tanks or planes buried in bogs. The saying “war is not over until the last soldier is buried” by a great commander, the invincible Russian generalissimus Alexander Suvorov (1729-1800) is their unofficial motto. My inquiry at several online search group forums about the place where Major Yusufov was buried was answered quite quickly. It turned out that Nosovo was a small village near Pogoreloye Gorodishe center in Tver oblast of Russian Federation with a population that was 83 people in 2008. Exactly in that area on 4 August 1942 the 88th Rifle Division together with the 212th Tank Brigade forced a crossing of the Derzha river. But the most important information was received on 24 May 2010 from Aleksey Sdvizhkov, deputy chief of the Gorizont Tourism-Searching Club at the Moscow Power Engineering Institute. He wrote that in 2007 their club was on a field trip together with the local search groups from Zubtsov and Pogoreloye Gorodishe and they found two sanitary burials with about 20 men in each exactly at the place indicated in the document: 500 meters to North-East from Nosovo. The remains were reburied in the memorial cemetery in Pogoreloye Gorodishe with military honors and religious ceremonies. Aleksey was very kind to send an official letter from their club to the local administration about adding army major Mustafa Yusufov to the name list on the memorial. 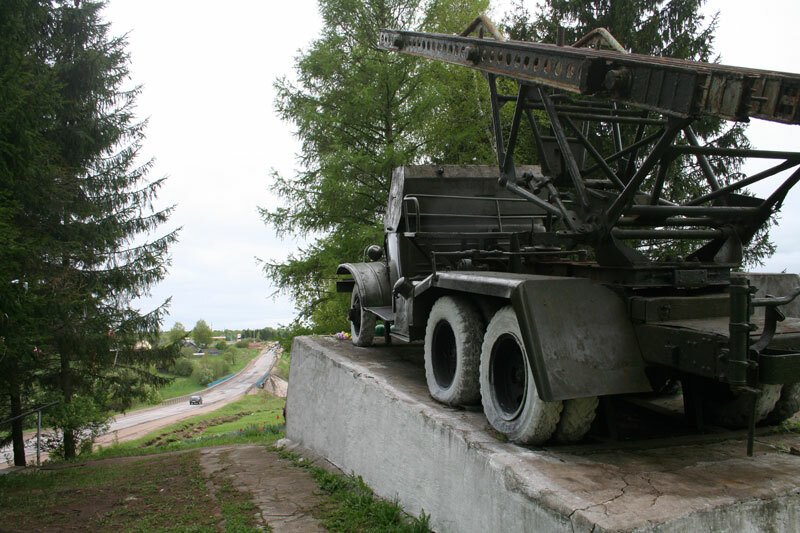 He also sent me a photo of a view on Nosovo with a monument in memory of Soviet break-through, which struck me – it was Katyusha overlooking the village from top of the hill. Sings her song so Germans will soon die! And to soldiers bravery she brings! 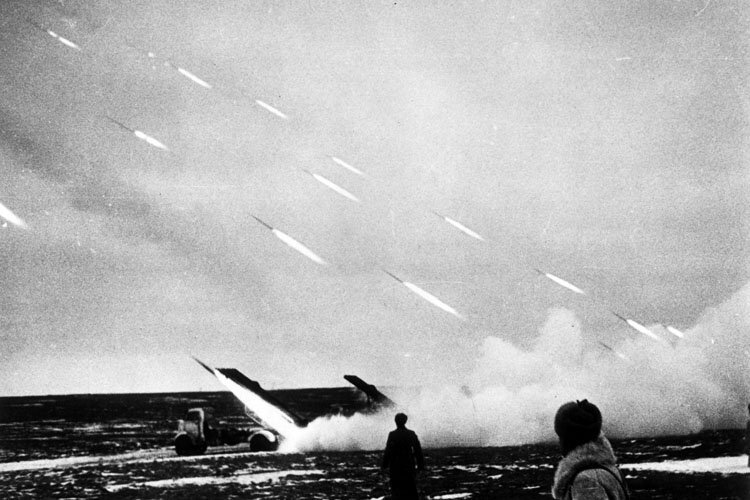 Katyusha rocket launchers went through all the war till Berlin, and Katyusha, the song did not fall behind. 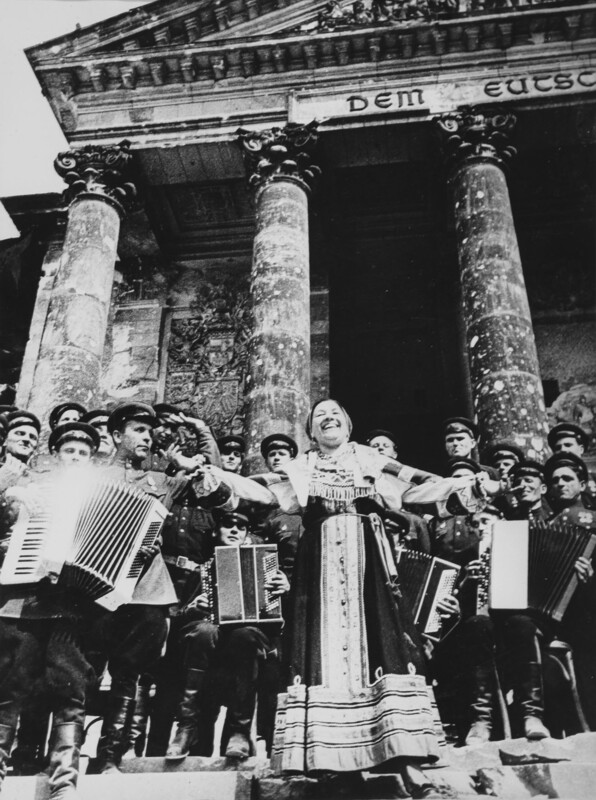 On the doorsteps of the smoldering Reichstag it was sang by Lidiya Ruslanova (1900-1973), a popular Russian and Soviet singer, one of the greatest Russian folk song performers. За того, чьи письма берегла. Apple trees and pear trees were a flower. To the steep bank with a sub-machine gun. These frontline couplets tell the story of another Katyusha, one of the 800 thousand women who served in the Red Army during that war. Fascism – the bitterest enemy of women. 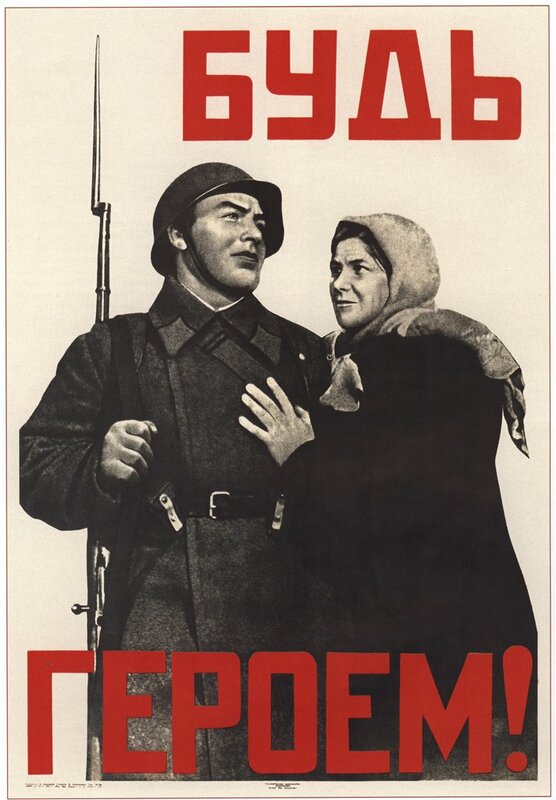 Everybody to the fight with Fascism! 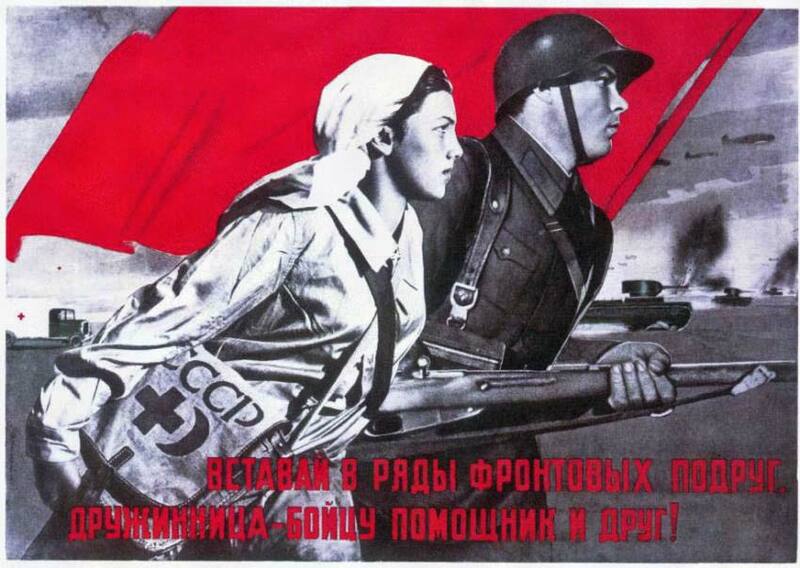 Join the ranks of frontline comrades, volunteer is helper and friend of soldiers! Red Cross volunteers! We will not leave on a battleground nor a wounded, neither his weapon. 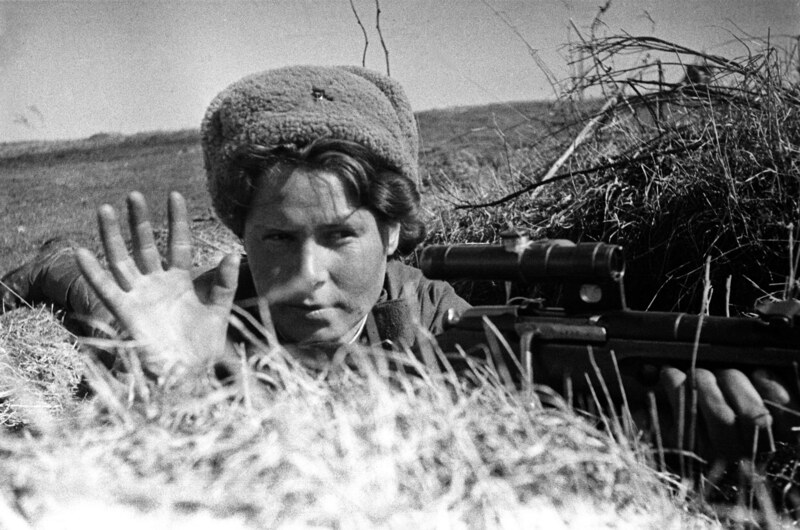 Women were not only in auxiliary roles, such as nurses or signalers; there were women-snipers, machine gunners, tankers and even pilots. Among them was Zuleykha Seyidmammadova – the first female pilot of Azerbaijan. 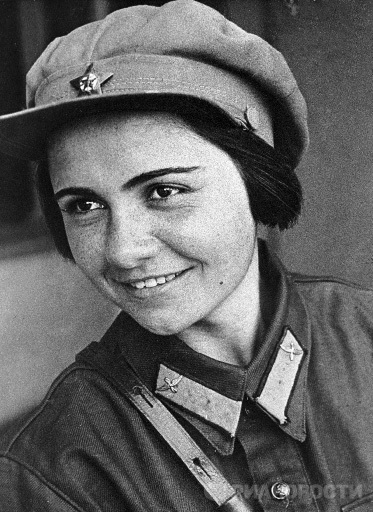 She went through the war starting as the regiment navigator and ending as the second in command at her 586th Fighter Aviation Regiment that was one of the three Soviet women air regiments formed in 1942. 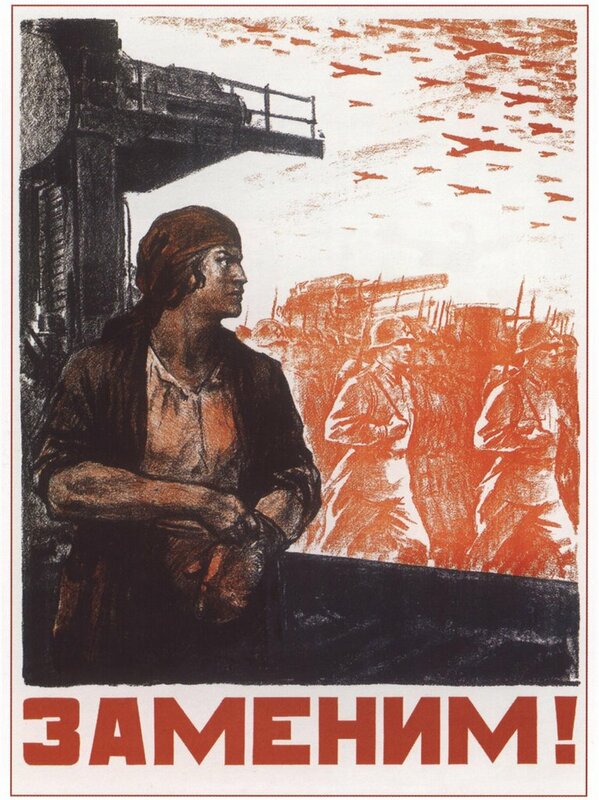 Involvement of women in combat on such a large scale was something unprecedented and shocking for Germans and, ironically, in the first years of the war Nazi propaganda was using it as an evidence of inhumanity of the Soviet regime, while when the end was close they did not stop at sending even children to battle. World War II was the most brutal and bloody war in the history of mankind. Pushing the limits of human atrocity, it also revealed the heights of heroism and self-sacrifice. So dual is also the story of Katyusha – the story of devoted love and fierce hostility. 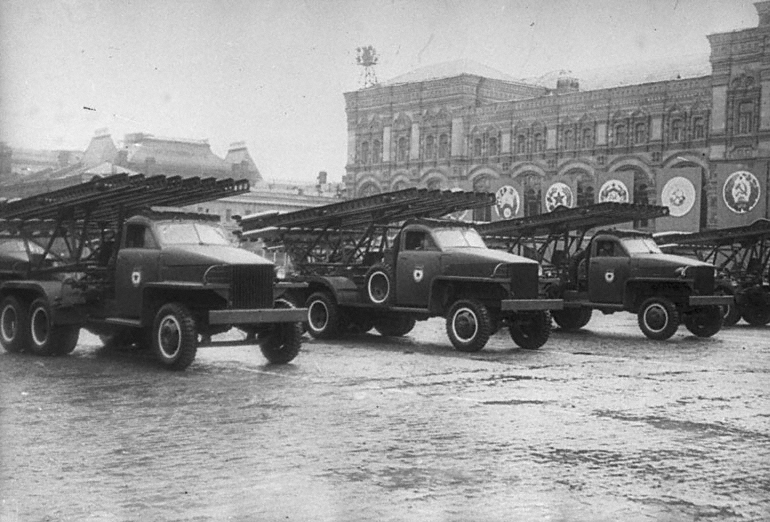 Mariya Shalneva (Nenakhova) regulates the traffic. Berlin, 2 May 1945. 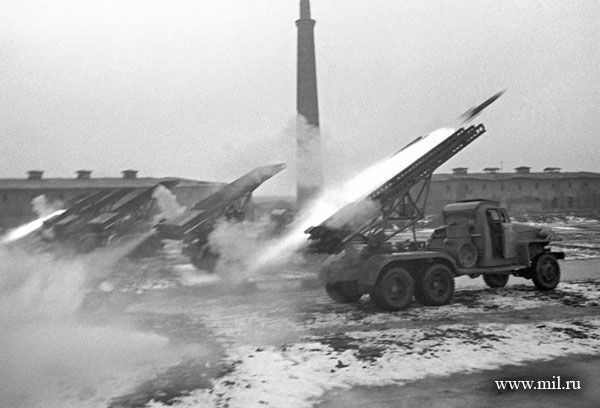 Most of the photos are from War Album digital archive of World War II images. 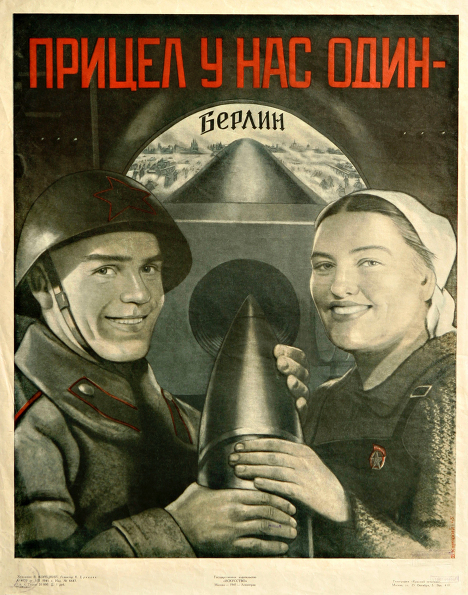 The images of the wartime Soviet posters can be found at My-USSR.ru, Krasnoye Znamya (Red Banner), 1941-1945 and Electronic Museum of Domestic Poster. "La corrente centrale della folla li derivò verso un assembramento di rossi: avevano issato un compagno su una specie di podio e lo invitavano, lo costringevano a cantare con una selvaggia pressione. Il ragazzo nicchiava, una fiera, tarchiata e grinning figura. Da intorno e sotto aumentarono le insistenze e quello allora intonò «Fischia il vento, infuria la bufera» nella versione russa, con una splendida voce di basso. Tutti erano calamitati a quel podio, anche gli azzurri, anche i civili, ad onta della oscura, istintiva ripugnanza per quella canzone così genuinamente, tremendamente russa. Ora il coro rosso la riprendeva, con una esasperazione fisica e vocale che risuonava come ciò che voleva essere ed intendere, la provocazione e la riduzione dei badogliani. L’antagonismo era al suo acme sotto il sole, il sudore si profondeva dalle nuche squadrate dei cantori. Poi il coro si spense per risorgere immediatamente in un selvaggio applauso, cui si mischiò un selvaggio sibilare degli azzurri, ma come un puro contributo a quell’ubriacante clamore. Qualche badogliano propose di contrattaccare con una loro propria canzone, ma gli azzurri, anche la truppa, erano troppo nonchalants e poi quale canzone potevano opporre, con un minimo di parità, a quel travolgente e loro proprio canto rosso? Disse Johnny ad Ettore che aveva ritrovato appena fuori della cintura rossa: - Essi hanno una canzone, e basta. Noi ne abbiamo troppe e nessuna. Quella loro canzone è tremenda. É una vera e propria arma contro i fascisti che noi, dobbiamo ammettere, non abbiamo nella nostra armeria. Fa impazzire i fascisti, mi dicono, a solo sentirla. Se la cantasse un neonato l’ammazzerebbero col cannone." tratto da Beppe Fenoglio, "Il partigiano Johnny"
In the meantime another Hungarian text, composed for the melody of Katyusha shortly after the war, was sent in comment to the Hungarian version of this post as a historical document, which represents the Soviet soldier not as a heroic defender of his own country but as a brutish invader of that of others. Unfortunately this face of history is also true, even if we know well that that invasion was absolutely not without reasons and precedents. Wonderful post, Araz! The story of your uncle and your search for his remains (or the details of his last days, which is the really important thing, I believe) is specially touching. blist writes in the Hungarian version: “in ten seconds Katyusha could fire a salvo delivering more than four tons of explosives”: This is rather the achievement of a whole Katyusha brigade in ten seconds, given that one Katyusha was able to shoot 16 rockets at one filling, and the smaller RS-82 rocket weighed 6.8 kgs, while the bigger RS-132 rocket 23 kgs. In fact, 16×23 kg = 368 kg, almost four quintals, which is one eleventh of four tons. Molte grazie, Effe! Thank you for nice words and magnificent excerpt from the novel. Special thanks go to Tamás as always, not only for inspiring me for new posts, but also for translating the comments from different languages. Muchas gracias, Julia! This story has become a personal story of my family, indeed. Big thanks to blis for noting my omission. 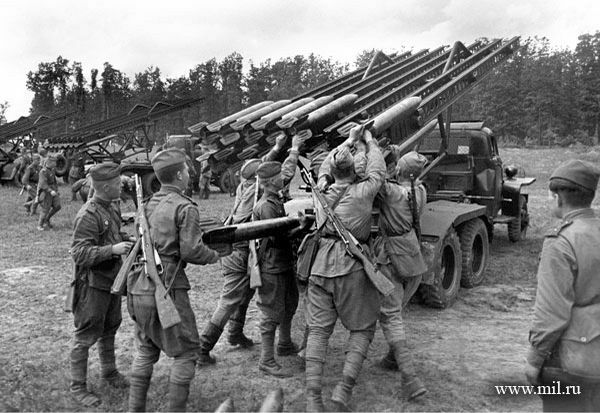 Actually as it is said in the wikipedia article I referred to it is an artillery battery of "Katyusha"s, so I will correct the text. As for Red Army as invaders, a Nazi propaganda video I referred in the last part of the post attests to atrocities perpetrated by Soviet soldiers in Prussia. I came across an interesting fact while writing this post. The Russian documentary "Rzhev: Georgi Zhukov’s Unknown Battle" mentions the commander of the 33rd army encircled and completely destroyed in the first Rzhev offensive as a hero, who denied an offer to leave his troops by airplane and shot himself when the situation was hopeless. In fact he shot also his wife and ordered to do so to his headquarters staff. His name - general Yefremov is familiar to Azeris as one of the generals of invading Soviet army back in 1918. He was awarded by a golden sabre for "liberating" Baku and by a jeweled vase for putting down the resistance in Genje, destroying the young Republic of Azerbaijan. thank you Studiolum. You really join our wor(l)ds together. 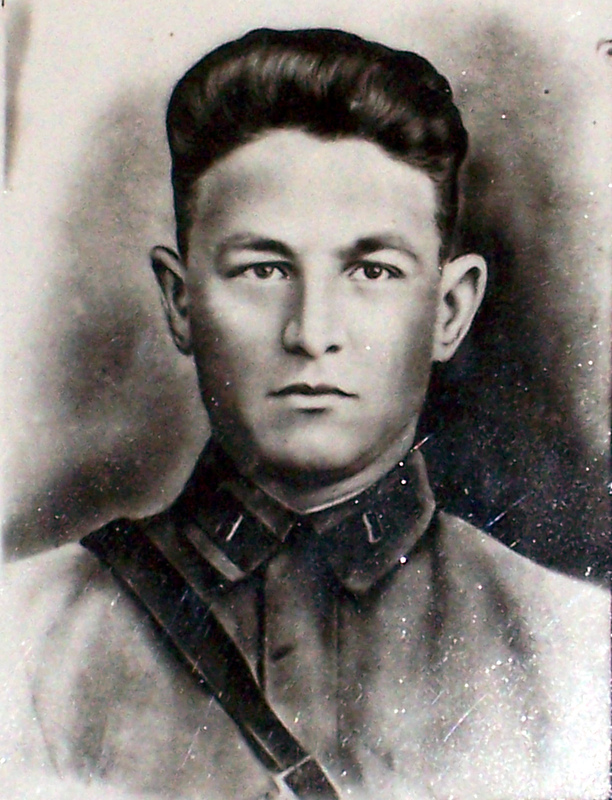 If I understand well, the Soviet Ministry of Defense precisely knew the date of death, place of burial and all the rest about the great-uncle of Araz and more than ten millions of other Soviet soldiers, and nevertheless for seventy years they have not made these data known to the families, to their own Soviet citizens. What was the purpose of all that? Excellent, Effe, I like it - Studiolum joins our wor(l)ds together! Good question, Freya, it might be on purpose. Actually most of these documents were confidential. People were required to file an official application to the central archive and to wait for undefined time - painful procedure for getting any information. It might be also a simple neglect of soviet bureaucracy and lack of a solid system able to work in extremal situation. In fact this very document was sent by the division to the central staff office in December 1944 - two years after the person was killed, with a note apologizing for delayed report. It seems like somebody from higher office demanded this information and they had to find out the exact details. Strangely in 1947 my great-uncle was put into the "missing in action" list, but with his surname spelled as "Yusupov" and the notification was sent to his brother - my grandfather. Another detail is that seemingly the typewriter was missing letter "M" and they put it by hand everywhere, but missed his rank, so "Major" was put as "ajor" in the list and after digitization "Yusupov" is listed as "private" (The enforced Russian surnames is another long story). An interesting fact is that there is a real story behind the poem by Tvardovsky mentioned above. He met a woman visiting her son in a Moscow hospital. She received a "black paper", but in fact her sun survived: It turned out that this soldier was thought to be killed in an air raid around Rjev, so his unit reported about his death. After two days another unit arrived and they noticed that a leg stuck out the ground is moving. The soldier was saved and sent back to the hospital. Actually you can find the name of that person (Владимир Петрович Бросалов) in the digital archive, and he is still listed as "killed in battle". Adoro o modo comoo voce descreve os acontecimentos, tocante e belissimo post. As for the first comment: I don't think that this particular fact could be a proof of Stalin's plans to attack the Third Reich. With the same success Major Yusufov could be on the borders with Mongolia. But we all know that there were such plans and Soviets probably were trying to get some time with Non-Aggression Pact of 1939 and agreements on occupation of Poland and few other Eastern European nations. Nevertheless, I strongly disagree with the people, who try to rehabilitate Hitler with these facts, who create an image of Third Reich as a savior of Europe from Bolshevism (a historical parallel with Germany as the founder of Holy Roman Empire). A visit to one of the former concentration camps would be enough to understand that Hitler's ideology was evil. For Azeri people Stalin and Hitler are both equally evil with systematic repressions of intellectuals and deportations of ten thousands of people in the Soviet Union (in 1937-38 from Azerbaijan SSR to the steppes of Kazakhstan; in 1947-51 from Armenian SSR to the dry lowlands of Azerbaijan). Another interesting topic is ethnic army units in Nazi troops. Third Reich was trying to use people's hatred towards Bolshevism and dreams about independence against the Soviets. I think the comment does not aim at rehabilitating Hitler but only at uncovering an attempt of self-rehabilitation of Stalin who after 1941 tried to represent himself as an innocent victim treacherously attacked by the Nazi invaders. This was taught at us for seventy years, without a word on the German-Soviet agreements of 1939 or on the Soviet preparations of offensive against Germany (which, ironically, would have enhanced the authority of the Soviet Union, were they made known after 1945!) Nowadays, as new documents come to light from Soviet archives, the same issues on the real intentions of Stalin debated in Russia are also debated in Hungary, but only with the intention of clearing an obscure historical question imbued with so many lies. I do not think that anyone in Hungary thinks of Hitler as a savior of Europe from Bolshevism, not even at the extreme right wing as far as I can see. We experienced too early what he did as a savior in Poland, Hungary’s traditional ally, and what he did in Hungary itself after the German occupation on 19 March 1944, having systematically killed six hundred thousand Hungarians and forced other two hundred thousand to die at the Don for the interests of the Nazi Germany. The topic of ethnic army units in Nazi service is an interesting and painful question. I know well about similar units in the Ukraine and in some Muslim areas along the Black Sea and north of the Caucasus. Were there any such volunteers in Azerbaijan? Actually my remark about Hitler was not directly related to the previous comment. But existence of such ideas is an unfortunate fact. As for ethnic army unit in Wehrmacht and SS, all three major South Caucasian nations - Azerbaijan, Georgia and Armenia had their legions in Nazi troops. You can read about Der Aserbaidschanische Legion here. I don't think that it was totally voluntary, because in most cases the only alternative was death in concentration camps. One of the major figures was Abdurahman Fatalibeyli-Dudanginski - former major of Red Army, who was captured and then cooperated with Nazis. He was the head of Azerbaijani bureau of Radio Liberty in 1950s, and was assassinated by KGB. Interesting fact is that some of the former members of government of the Azerbaijan Democratic Republic were in Germany at that time including Mahammad Amin Rasulzade. They were trying to ease the situation of Azeri prisoners of war and negotiate possibilities for future independent Azerbaijan. But Rasulzade saw the uselessness of these talks with Nazis and left Germany in 1943. This is an extremely interesting story, which is quite unknown for the general public. Don’t you want to write about it? Thanks, this is an interesting story, indeed, but I am afraid that I am not quite competent in this topic, so will need to make some research before being able to write something: One more point in my list of topics to write about. He also missed the inclusion of the “canonical” Hungarian version of the text, but I have explained in my reply that as that text is still generally known in Hungary, I preferred to give a verbatim translation of the Russian original, and only to include a link under it to the Hungarian Wikipedia which has the canonical version. Dear Studiolum, thanks a lot for keeping the post updated with translations of comments! We have been on move for last several days without internet connection. I would like to thank again everybody for interesting comments.